The above info came from Trin, and was edited by yours truly (contact me). The image came from Amzon.com. Tsubasa is a very timid girl who just moved to a new town. She has very few friends and seems to lead a very boring life. Then, one day, a spacecraft lands close to her backyard and she runs to investigate. It is there that she sees the captain of the ship, a spacecop named D.D., battling a gruesome creature called a "Magure," that hatched from one of the eggs he had been transporting. Tsubasa, while watching the battle, is exposed to a chemical on the ship and an armor is formed around her called Figure 17. With this armor, she defeats the Magure. 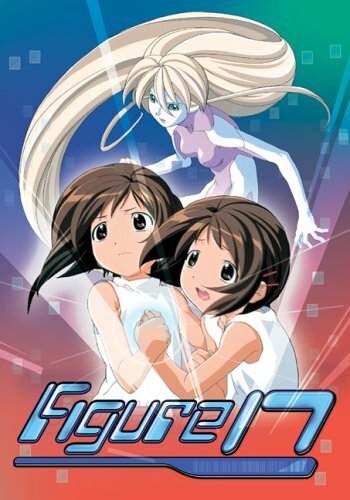 Afterward, the chemical detaches itself from her and morphs into her own clone, who calls herself Hikaru. D.D. tells them that the other eggs were shot off during the crash and could be anywhere in the town. He says they each contain a Magure and could bring great destruction. The only solution is for the two identical girls to find all of the eggs before they hatch and stop the ones that have already hatched.